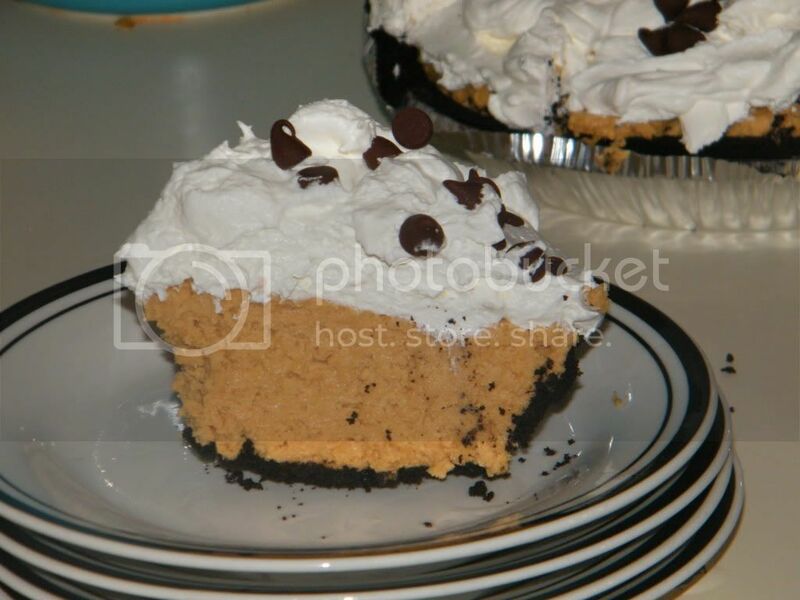 If you love peanut butter...you will love this pie! In a large bowl, beat cream cheese and sugar until smooth. Beat in the peanut butter. 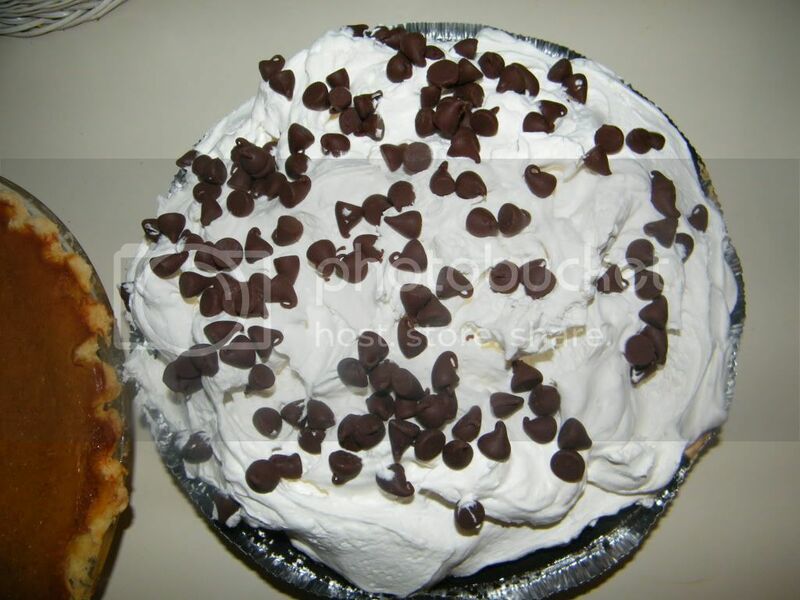 Fold in 1 container of whipped topping. Spread filling onto the crust. Chill for 1 hour. Spread top with remaining container of whipped topping. Refrigerate 1 hour before serving. Sprinkle chocolate chips on top....Or, drizzle chocolate sauce on top for garnish. this is always the first thing to go on the dessert table. and bonus....it's super easy to make! Yum! I could so do that.